Elf Yourself 2014 at elfyourself.com - OfficeMax holiday tradition returns for 2014! ElfYourself is back for 2014! 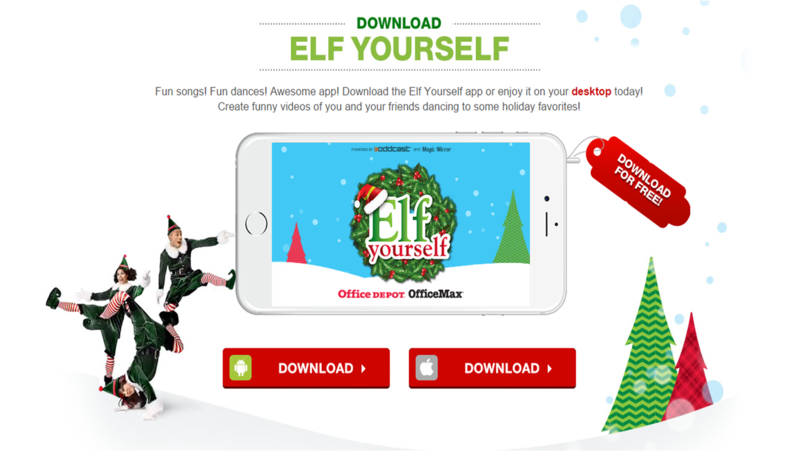 The traditional OfficeMax Christmas site has relaunched for 2014 and this year ElfYourself is available on Desktop and mobile. 813,240,609 ElfYourself elves had been created by the time this post was created and all over the world people are still engaging with the ElfYourself tradition! ElfYourself 2014 - this year on mobile too! 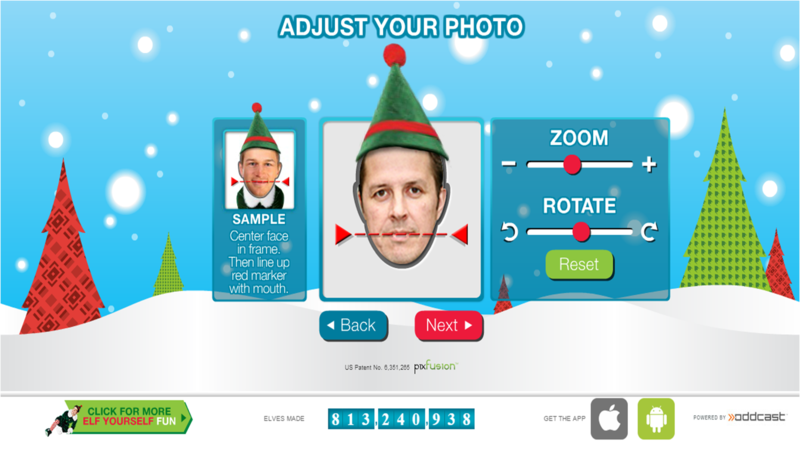 ElfYourself users on PC can create their elves using uploads from Webcam, Facebook or Desktop and mobile ElfYourself users create their elves through an android or iPhone app. 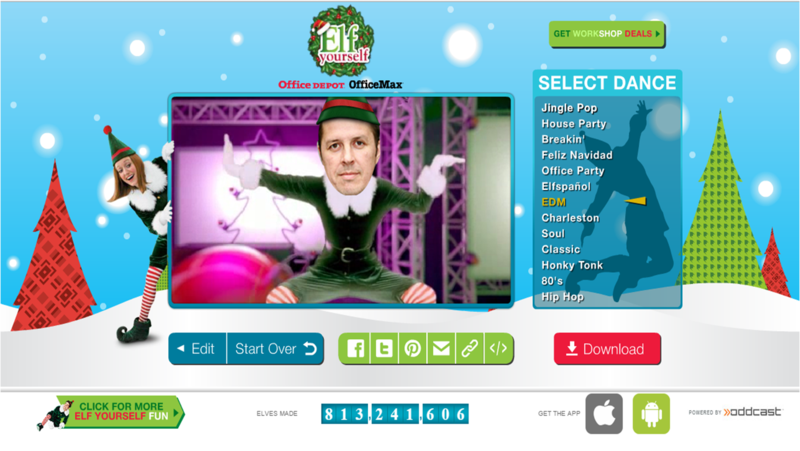 For 2014 ElfYourself users can choose between Jingle Pop, House Party, Breakin', Feliz Navidad, Office Party, Elfspanol, EDM, Charleston, Soul, Classic, Honky Tonk, 80's and Hip Hop and then have the option to share through Facebook, Twitter, Pinterest, Email, link or embed. My ElfYourself 2014 is an EDM ElfYourself! My ElfYourself 2014 animation can be seen on this link http://www.elfyourself.com/?mId=61600917.3 - ElfYourself 2014 runs until 1/1/2015, so until then, Happy Elfing!